I've known Nicola for many years when we used to work at the same fashion brand. In fact, this lovely lady was one of the very first featured on the blog back in 2011. This will be her third time featured, but this time for a very different reason. Since the days of stalking fashionistas on the street the blog has grown in a different direction and taken the road of all things mindful. Similar to my blog, Nicola has taken the same road and has just qualified as a fully fledged professional yogi! I caught up with her to find out what it's actually like to be a new teacher and what the teacher training was like. If you're anything like me and have been thinking about taking the course you will find this interview with Nicola particularly interesting! How did you get into yoga and do you remember your first class? Why did you decide to do your teacher training and would you recommend it to anyone thinking about it? I believe that the universe leaves you little signs, coincidences and other types of signposts if you choose to follow them. There was a lot happening that made my path keep crossing with the Frame Academy course at the start of this year and I just felt it was something that I was being guided to do - turns out it was exactly where I needed to be. I can't recommend training to become a yoga teacher enough, whether you are interested in becoming a teacher or not the learnings and self growth along the way are experiences that money or jobs could never buy, cliche but it is life changing. How has it been since graduating as a teacher? What are you working on now? Awesome. Crazy. Scary. I have been fortunate enough to have great yogis, friends and teachers around me from the start so it's been nothing but fun and love so far! I joined Sunday School Yoga straight away and have benefitted from the outstanding community and support that Michael James Wong has created. Working on a couple of projects to bring my past experiences in the tech world to yoga and mindfulness at the moment. Where do you sweat, breathe and eat in London? Sweat at Frame, Breath at Mudra Stoke Newington, Eat at Morito Hackney. Five items you cant live without? Sad but true - my iphone, iphone battery case, meditation app Headspace, sunglasses, concealer. 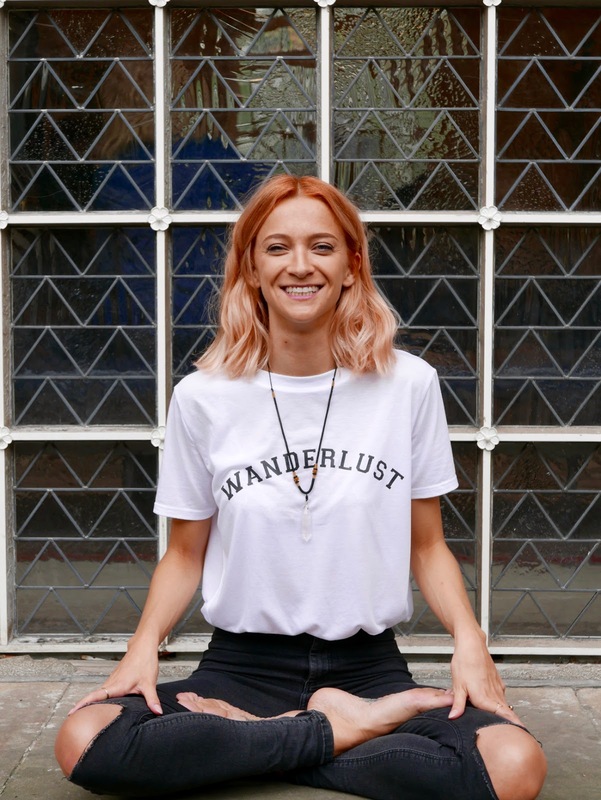 Follow this lovely lady on her yogic journey here.